For sale on Kijiji, Toronto. 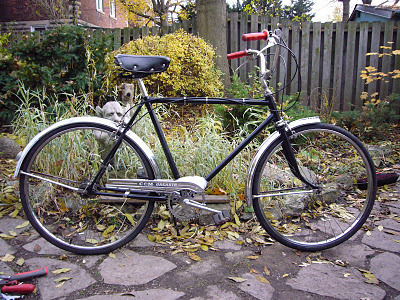 A 1963 Western Flyer 3 speed. 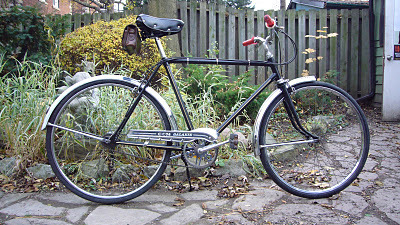 Built by CCM with Sturmey Archer parts and re-branded for Western Flyer. Seller is asking $140.00. 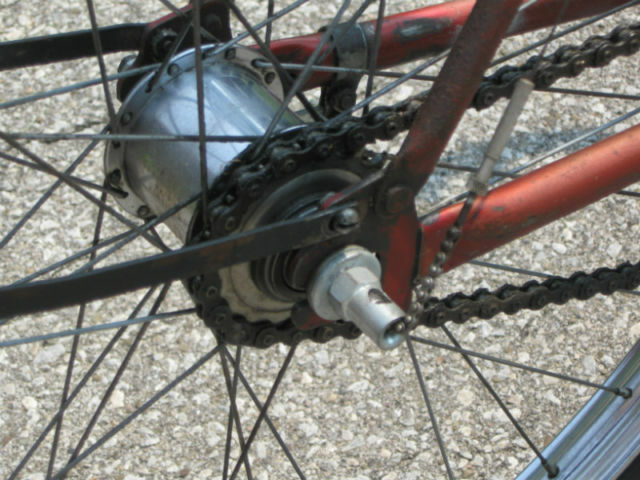 Not a 3 Speed, But…. Not a 3 speed but an interesting bike all the same. 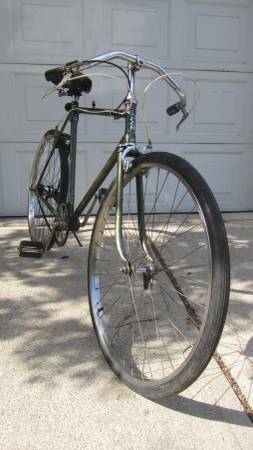 A current Kijiji listing out of Montreal is this 1938 CCM Flyte. 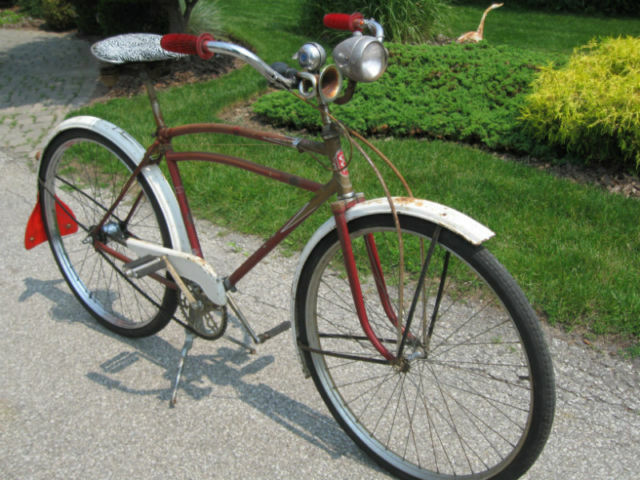 Listed at $1700.00 it’s a very collectable Canadian bicycle. Although it sounds like a lot of money, $1700.00 is not an unreasonable amount. For more detailed information, click here. It’s worth the drive to Brantford! Just listed on Kijiji Toronto, this CCM Galaxie 3 speed appears very clean and original. Reasonably priced at $100.00. 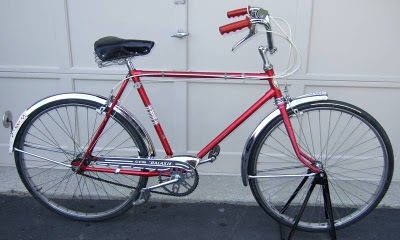 The project bike, donated by film maker Alan Zweig. This Galaxie was given a quick makeover and turned into a nice little 3 speed roadster. I would normally leave the paint on a bike as found but this example was pretty rough as it had been left outside for the better part of 10-15 years. 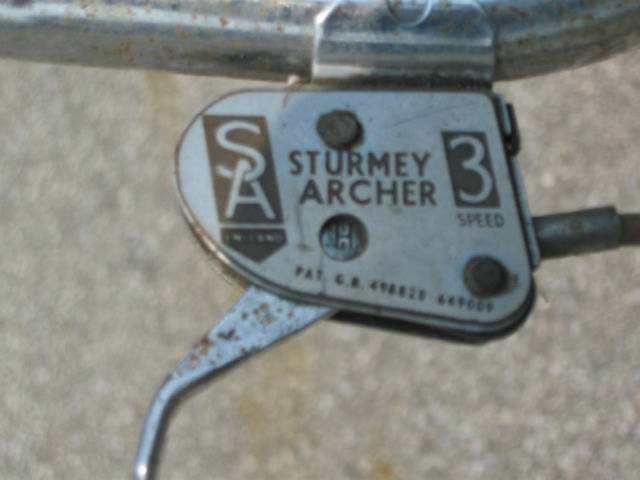 The original Sturmey Archer hub was replaced by one from Community Bicycle Network on Queen and the bars from Bike Pirates on Bloor. The bike was sold (at cost) to Josh, a student of mine. He didn’t really like it so he brought it back and swapped it for another one. 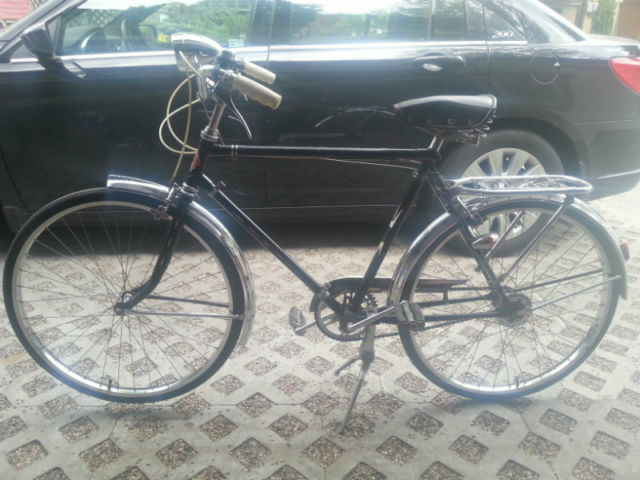 It then went to Alexandra (student) who was deported last year and once again, the bike came back. and can be seen in his short film, Hot Chicks on Bikes. The bike is currently in my possession again. It’s going to a new home this weekend…..
and hopefully it’s story will continue. 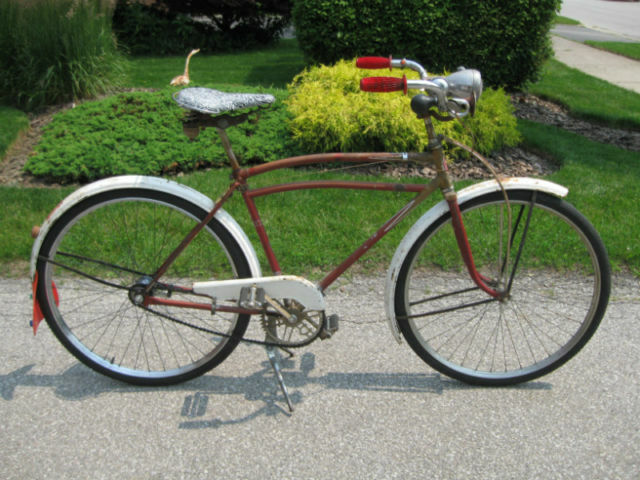 My father rode a similar bike to deliver groceries for the I.G.A. on Roncesvalles. 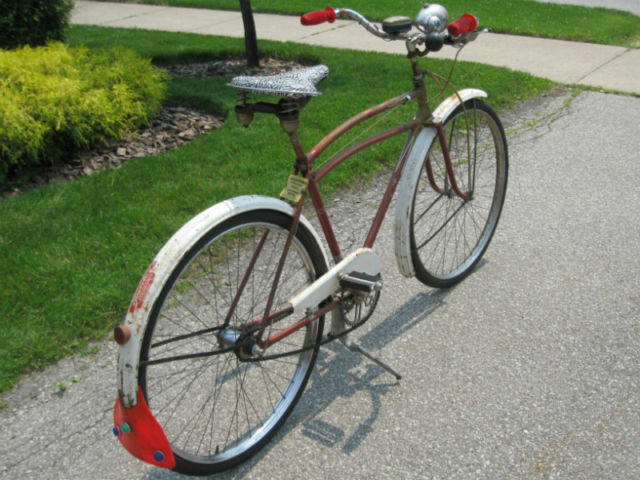 For comparison, $57.50 in 1955 would be worth $512.00 today..
My neighbour, Dan, is also into vintage bicycles. He mostly likes 50’s Rat Rod bikes that he customizes and sells. 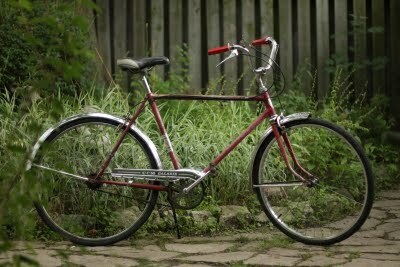 He currently has this 60’s CCM 3 speed Path Racer up for sale on Craigslist Toronto at a very reasonable $140.00. Here’s one that showed up today on Kijiji Toronto@ $295.00. Another Toronto Kijiji ad, this one’s located near High Park with a very reasonable asking price of $160.00. Another CCM Galaxie for sale on Kijiji Toronto @ $130.00. The two tone seat looks good. This popped up on Kijiji Toronto today @ $150.00. This showed up on Kjiji Hamilton today @ $160.00. A mid 60’s CCM Imperial Mark IV with a Life Long Guarantee! 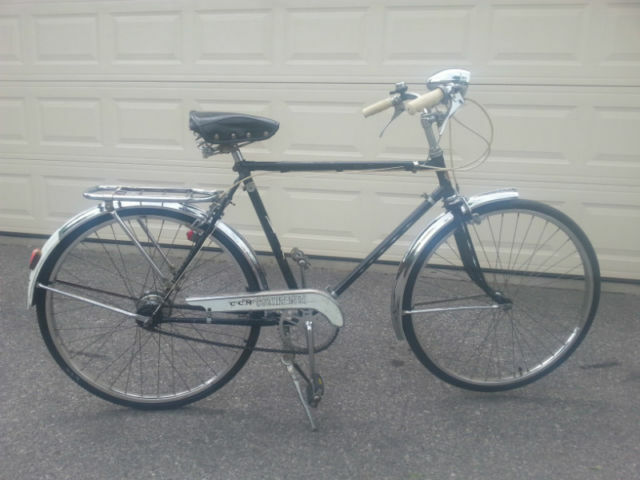 Another 3 speed that popped up on Kijiji Toronto. 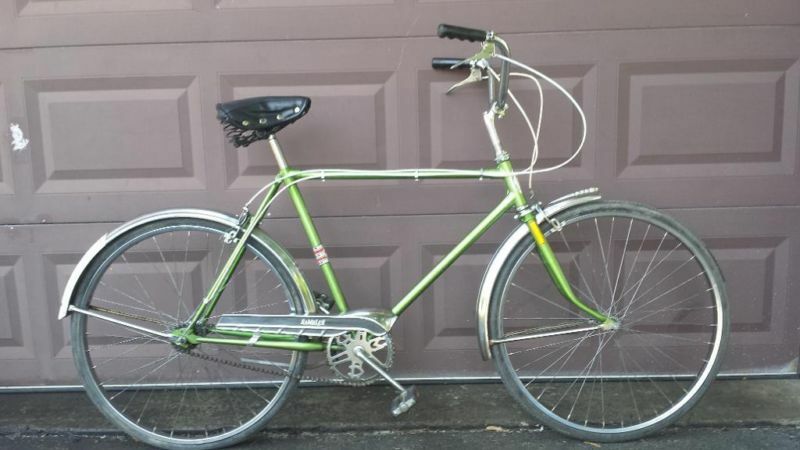 I bought two matching bicycles, Supercycle, and was wondering if you might know where I could find info re: age, etc. I do have the serial numbers (E followed by six numbers). I’ve attached some pictures. I’m going away for a few weeks so if you do happen to have information on these bikes I would appreciate it. Thanks! 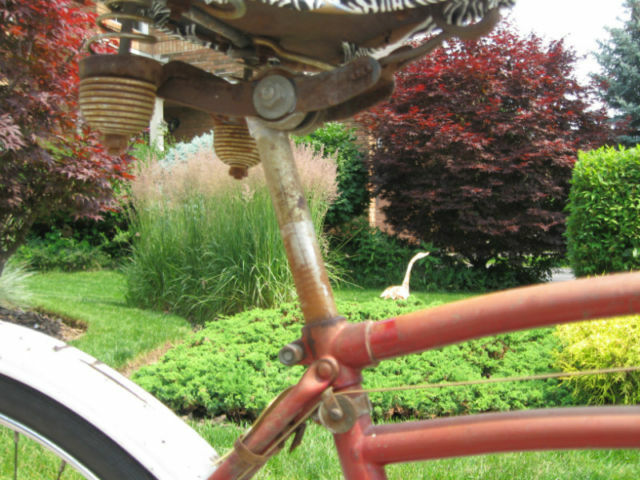 The bike is identical to one that I pulled out of the trash a few years ago. I quite like the green/chartreuse colour but I swapped the Shimano 333 hub and shifter for a Sturmey Archer system. My bike with a CCM chain ring. This colour was quite popular and I’ve seen a few versions of this same frame. It’s a two colour application with a silver base and then the green on top. 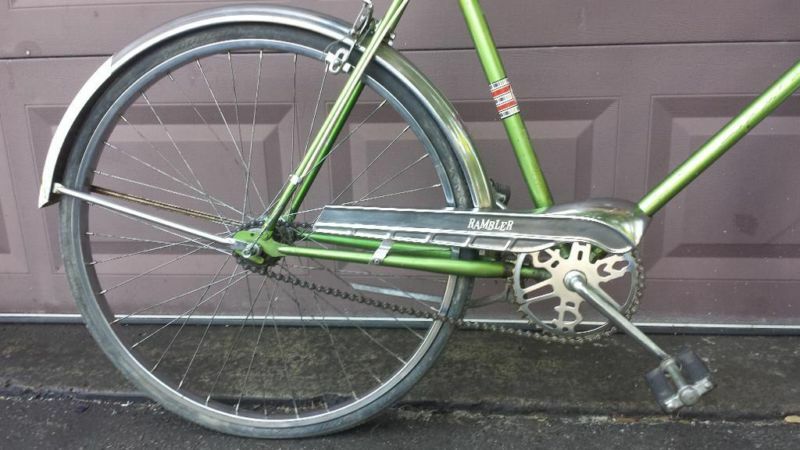 A nice 10 speed below. CCM supplied bikes to Canadian Tire that were re branded as Supercycles. Other suppliers include Raleigh and Bridgestone. 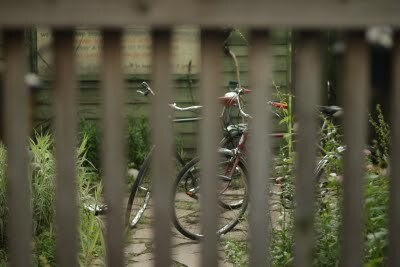 The bikes were often assembled from old stock. Vintage CCM provides the chart below. 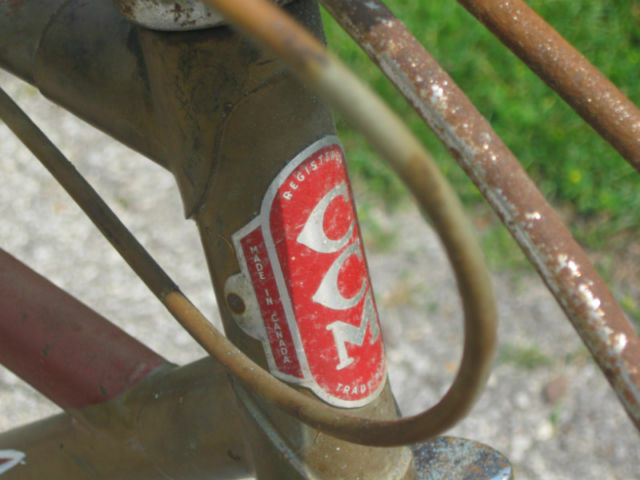 This would date your bike frame as being built in 1973 and possibly being sold in 1974 or 1975 (my guess). 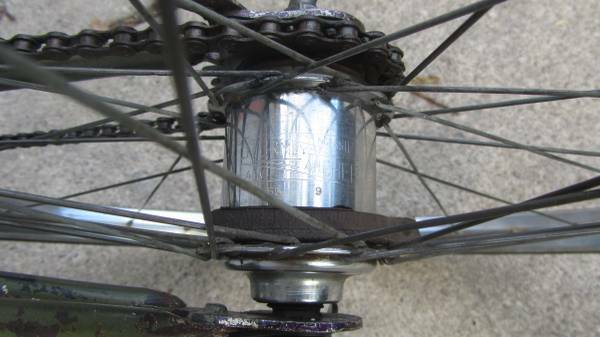 Unlike Sturmey Archer, Shimano didn’t stamp a date on their hubs. This want ad popped up on Kijiji today. many of these are sitting in the basements or garages of houses in Toronto. 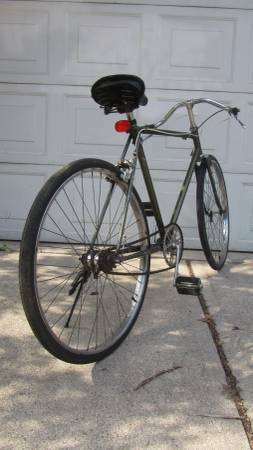 It is a 10 speed with a seat called Speedic. A well preserved Speedic sadldle, a Brooks knock off made in Japan. Same colour but made in Japan. Here’s another one for sale in Kingston Ontario. I did manage to sell a bike at the show. This 1953 Humphrey (CCM) found a good home and on the plus side, I didn’t buy a bike! 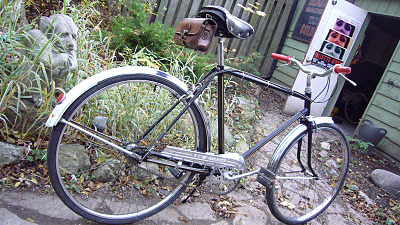 I did buy a vintage saddlebag for old faithful, my mid 70’s Canadian built Superbe. This bike was purchased at the Toronto Vintage Bike Show last year. The owner is a young Actor friend who wishes to remain anonymous (for obvious reasons). He used it in a short film and literally beat the hell out of it. It was given a quick fix and is ready to ride again. Note the period correct sparkle hand grips. 2014 Toronto Vintage Bicycle Show! Another Kijiji listing @ 175.00. Very clean and original. 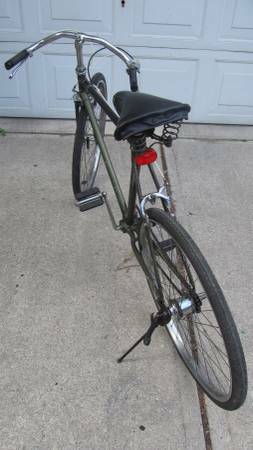 This Supercycle 3 speed, pulled from the trash 3 years ago, has found a new owner in Hamilton and is currently getting a make over. Photos to follow soon. 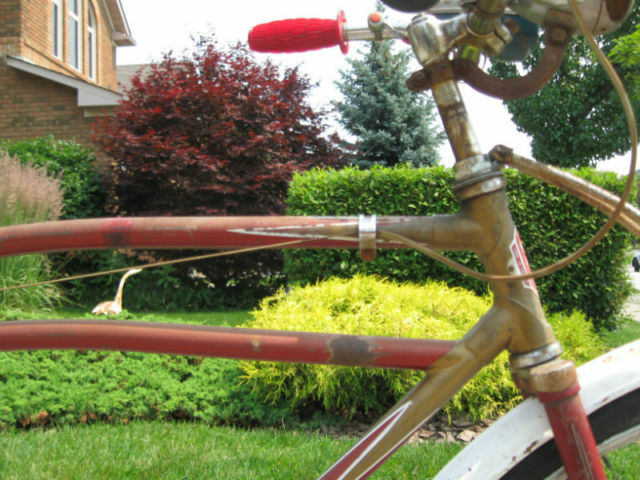 Coming soon, the Third Annual Toronto Vintage Bicycle Show! Sunday July 27th at Trinity Bellwoods Park, Toronto. The work in progress below. Below the almost finished bike. A NOS CCM chain ring! This one was spotted yesterday at the Liquor Store. I gave this bike a little makeover this weekend with the intention to sell it. It’s time to purge a few of the non English bikes. This is a 1953 Humphrey, a CCM subsidiary that was built in a factory on Bulwer Street here in Toronto. Bulwer is really a lane that runs from Spadina to Soho just north of Queen. It has a composite Wrights saddle and some vintage Super Jet grips. This bike passed through my hands briefly before finding a new home. I don’t know much about these bikes but this one appears to be desirable with some quality vintage components. What appears to be a mid 80’s Cro Mo frame with a mid 70’s Suntour Cyclone derailleur added to replace the original Shimano gears. Additional research tells me it’s an UNO L.S. model. The deraileur itself was almost worth the purchase price. In any case, it’s gone to a new owner. The original owner of the Miele has opted for this very nice and original CCM 3 speed Elite. Spotted on Edward Street outside of BMV. Complete with a vintage pump. This was on Kijiji Toronto last week. 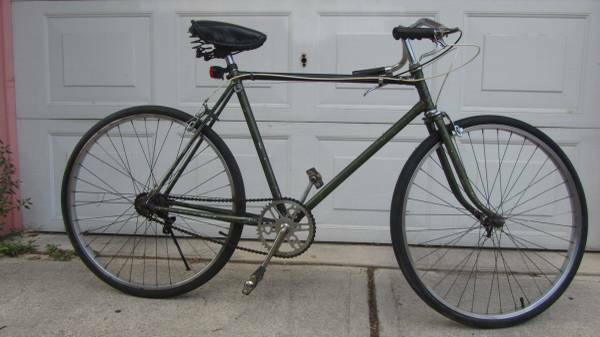 Not a 3 speed but certainly worth a post. 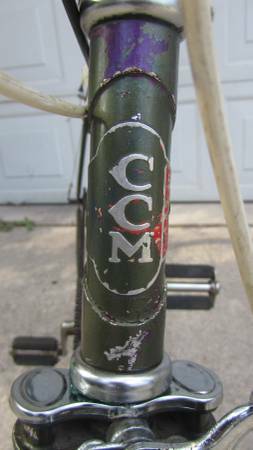 A good restoration of a vintage CCM single speed. I know it’s a bit early but we’re looking at Sunday July 27, 2014 for this year’s show. The location will be the south end of Trinity Bellwoods Park here in Toronto. These girls won’t be there but others will. Still worth a post. 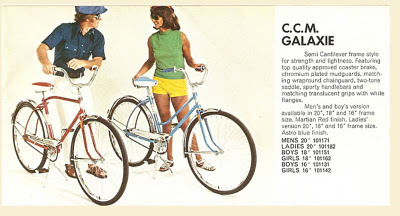 Probably early 70’s judging by the pedals. This one’s for sale in Vancouver @ $250.00.